We’re so excited about summer music camp! 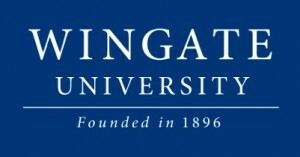 Music camp for the Union Symphony Youth Orchestra will be held at Wingate University from June 18-June 21. Students will check in at CM Black Residence Hall on Monday, June 18, 6:30–8:00 AM (NOTE TIME CHANGE) and will be dismissed from camp following their concert on Thursday, June 21, 6 PM. View the Wingate printable map.